Tired of the fatigue, low libido, mood swings and lack of focus that comes from getting older or having a baby? Most people start losing testosterone, the key ingredient in energy, vitality , stamina, muscle building and focus, in their twenties. 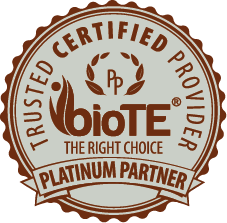 Ask your doctor about BioTE Pellet Therapy, our new service providing a revolutionary new treatment— BioTe® Bio-identical Hormone Replacement Therapy pellets. Inserted under the skin, it’s the most hassle free and naturally releasing form of testosterone supplementation you can get. Better than creams. Better than pills. Just ask. It’s just the fuel your body has been looking for. If you want to maximize your workouts, and optimize your fitness level, your testosterone needs to be in check first. This new therapy can be used to replace what your body is no longer producing. And it’s the only way to get to a leaner, meaner “you” without even breaking a sweat.